How to read/write bits to GS4 from Do-More without bit-of-word? I need to be able to write to the bits for direction, etc and read several things, but Do-More dropped bit of words. Without writing a bunch of scenarios for decimal conversion of binary, how exactly am I to do this? Bit of word is no longer a "type" (e.g. B2000.15) like DirectSOFT/DirectLOGIC. 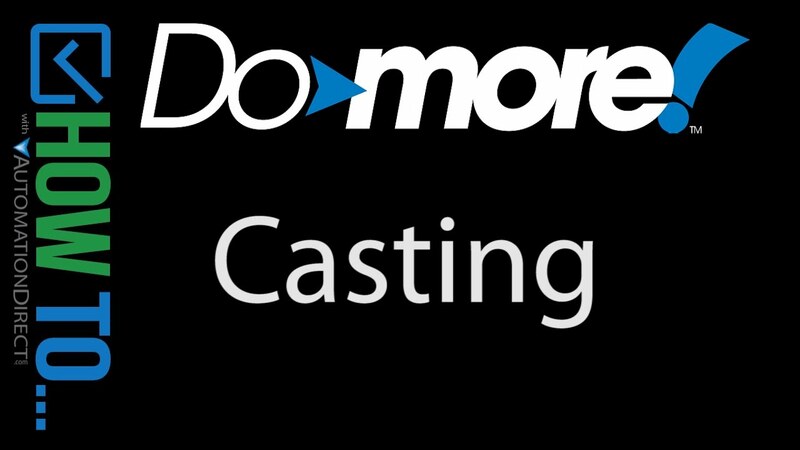 Do-more supports CASTing via the colon operator, which is much more powerful, and easier to use.